This entry was posted by quilly on Monday, August 31st, 2009 at 11:15 pm	and is filed under nature, Photograph. You can follow any responses to this entry through the RSS 2.0 feed. Both comments and pings are currently closed. 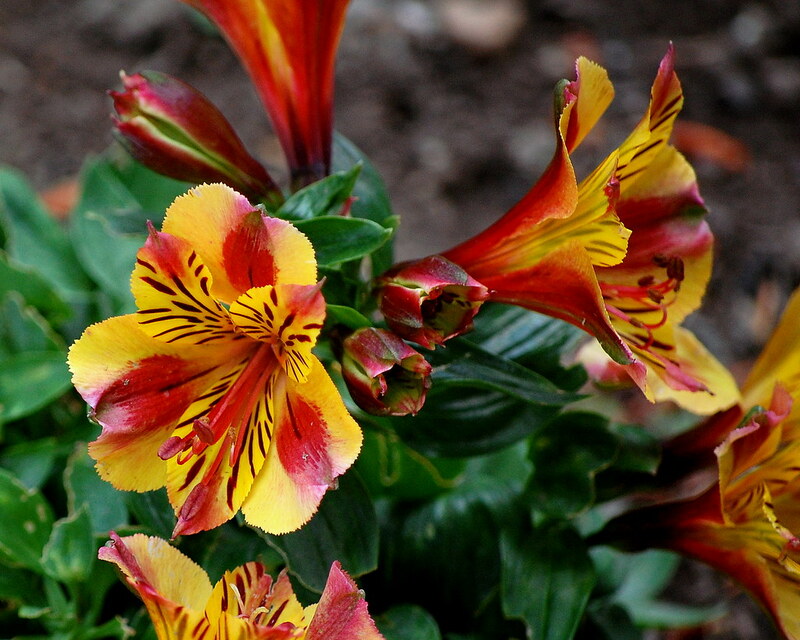 oooohh i love tiger lillies..your pic’s GORGEOUS!! Love how your photo captures the various stages of flowering! Very beautiful! I think those are the most beautiful tiger lilies I’ve ever seen! Wow! How beautiful, I think I have never seen such a tiger flower ! Oh, those are the most beautiful tiger lilies. I thought they only came in orange. Thanks for the education. Lillies are one of my favorite flowers! Beautiful! You mean they grow in the garden where you are? We have to buy them at the florist’s here, and even then they’re never so pretty! I love the deep deep reds and the bright yellow. So pretty! Ooooh we’re going to have so much fun on our walks together! I don’t know if I’ve ever really seen a tiger lily before…how pretty! Gorgeous flower and great photo! San Juan Island must be a beautiful place. They look a bit different then the tiger lillies we have here. Hey Quilly this is an awesome choice for RT! I love that deep red in the petals just perfect! 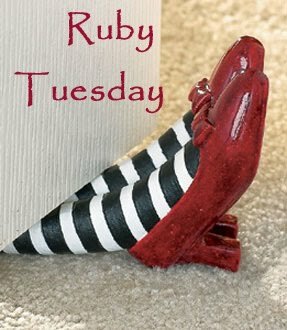 Have a great Ruby! Beautiful 🙂 I love the colours. the colors and patterns are stunning!! Quilly, Hawaii has the most beautiful flowers, just all over. People don’t believe me when I say it, they need to see for themselves! And you have found one of the prettiest. Wow!!! I love the lilies of all colors, these are just beautiful! !